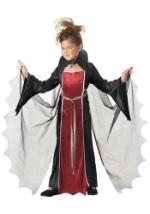 She'll be queen of the insect kingdom in our Spiderella child Halloween costume. 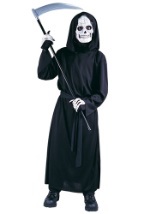 The girls costume includes a black, velour, polyester dress. 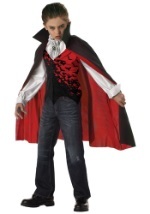 It has long, bell sleeves with a hemline that resembles the wings of a bat with a matching bottom hemline. 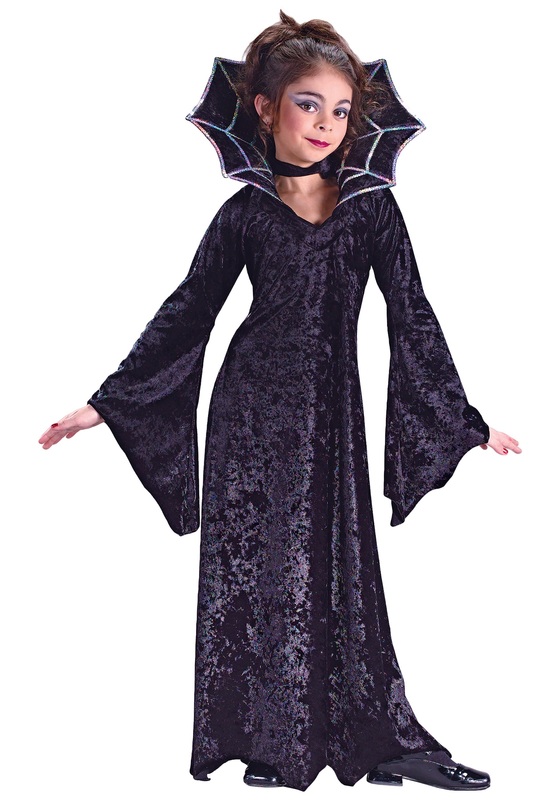 The black collar features a sequined spiderweb design and attaches to the dress with Velcro. 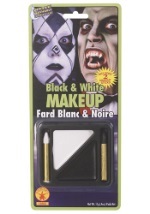 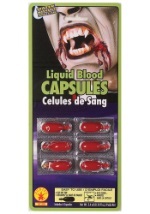 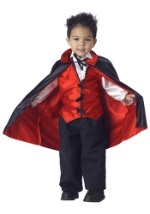 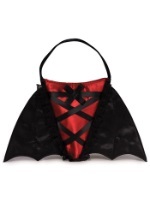 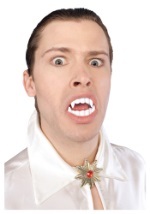 Check out our vampire costume accessories for fun and detailed additions to this Goth-style girls costume.